Table top blackboards resemble the old-fashioned school blackboard and easel. The laminated surface is best used with liquid chalk pens, opposed to normal chalk for better results. 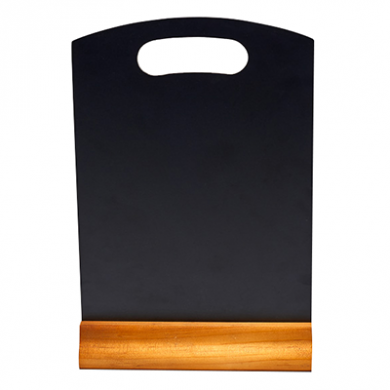 Highly attractive and eye-catching these boards are great for displaying menus, Chef specials or even table reservations in restaurants, pubs and bars. Size: 21cm (W) x 32cm (H). Great for displaying menus, specials and reservations. Ideal for restaurants, bars and pubs.